Set in India’s IT hub, a city that has lent itself to a verb in the English language, IBS Bengaluru brings together the finest faculty and students. Welcome to IBS Bangalore – a business school that is among the top business schools in the ‘Start-Up Capital’ of India. Bringing together the best faculty from the academia and industry, an industry-oriented curriculum, excellent infrastructure, and a cosmopolitan peer group, IBS Bangalore is the right place for you to prepare yourself for a successful career in the corporate world. 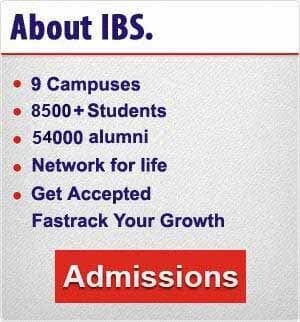 IBS Bangalore, started in 1995, has continuously grown in all spheres and is today among the best business schools in Bangalore, offering a high quality management program with strong academic rigor. With a campus that is designed to create the kind of learning space that encourages multi-dimensional learning, IBS Bangalore provides students the opportunity to tap into their unique strengths and capabilities and develop themselves into well-rounded personalities ready for a successful career. The faculty team at IBS Bangalore is a good blend of academicians and industry practitioners who make learning both interesting and state-of-the-art. The faculty members focus on encouraging students in developing the right skills and attitudes and motivating them to stretch themselves and become life-long learners. The faculty members are engaged in research as well as corporate training that keep them updated on the latest trends in academics and industry. The pedagogy at IBS Bangalore is a well-designed combination of lectures, case discussions, experiential learning, industry interactions, and peer learning. The co-curricular and extra-curricular activities through various student clubs provide students the opportunity to develop their team working, organizing, collaborating, and leadership skills. In addition, the diversity of students gives them an understanding of various cultures and prepares them for a career in organizations with a diversity of employees. Apart from equipping themselves for successful careers, facilitated by a strong placement team with an excellent industry-connect, the students, on successful completion of their program, become part of a large network of alumni whose strength will be touching 50,000 this year. Kotak Life Insurance Co. Ltd.
(GHRDC – CSR Best B-Schools Survey – 2011). (Careers 360 Best B-Schools Survey – 2012). A well-stocked library with about 26,000 books and 3,000 educational CDs. A computer center with Wi-Fi connectivity. Off campus accommodation separately for girls and boys in the vicinity of the campus. A team of knowledgeable and experienced faculty members. Apart from guiding students, the faculty members are actively engaged in research and conducting training programs for practicing managers. The faculty members have published many books, and written several cases and research papers as well as editing journals, published by IUP. IBS-Bengaluru was established in 1995, with the objective of providing quality management education. IBS Bengaluru has shifted to its own spacious campus from June 2012. This state-of-the-art campus is located in the south- western part of the city, on Bengaluru-Mysore highway. The students have won prizes at inter-business school meets organized by leading institutions. The students have several clubs for social, cultural and sporting activities. They also organize all India management meets. ‘IBS Business Leader’, a quarterly in-house newsletter, provides a platform for students to explore their creative abilities. 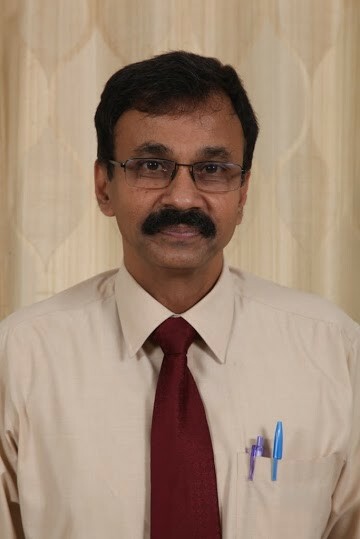 Prof. G.V Muralidhara is a Mechanical Engineer, PGDM and Gold Medalist from the Indian Institute of Management Bangalore and a Chartered Financial Analyst. With an industry experience of more than 28 years, he has held several senior positions in reputed public sector and private sector organizations. Prior to his stint as Campus Head at IBS Bangalore, he was the Director – Case Research Center at IBS Hyderabad. In this position, he led a team of talented case writers at the globally renowned center of excellence which won several international awards and accomplishments. Prof. G.V. Muralidhara has authored/co-authored more than one hundred case studies in management. Several of these have won awards at international competitions and are also reprinted in international textbooks. He has been a jury for a number of competitions and a reviewer for many international conferences. He has conducted a number of faculty development workshops as well as Management Development Programs. Sai completed Bachelor Degree in Engineering before coming to IBS campus. He is presently working with Axis Bank as an AVP. Earlier he has been associated with ING Vysya Bank as Manager Operations. His hobbies include talking to people and playing chess. 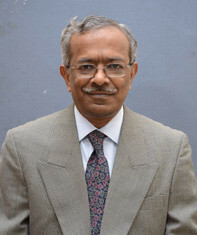 Chittibabu is the Chairman and Managing Director with BBIPL Infrastructure (India) Pvt. Ltd. He started his career as a site engineer on a salary of Rs. 250 with SCPL. During his stint of 5 years with SCPL, Chittibabu executed a number of challenging and unique projects for SCPL, such as KR Market, Bengaluru, which is one of the world’s largest vegetable market with 24 unique ‘hyperbolic paraboloid shells structures’ in the cluster, the first of its kind in the world. He then founded BBIPL in 1996, which gives direct employment to 250 people and indirect employment to around 2500 persons. All this happened in a span of 15 years. He is the recipient of “Distinguished Alumni Award (Entrepreneurship)” from Vellore University of Technology.